Even though I haven’t been getting reviews posted, I’ve read several really good books lately. I decided it was time to get caught up! Then I can buy more books with a clear conscience. At the moment, I’m reading Laura DiSilverio’s new novel, Incubation, the first book in a YA dystopian trilogy. I’m enjoying so much I’ll probably finish in record time, so that mini-review will be coming soon. Cassandra Lowry is making a big move in her life but finds more than she bargained for when she nearly wrecks her car and ends up stranded on a lonely country road. Once rescued, she finds herself entangled with a handsome and maybe dangerous man, his father who’s haunted by the ghost of his wife, a creepy home, and a young woman with a mysterious background. 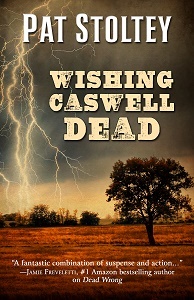 The romance is intense, the danger to Cass’s life and future even more so. This may be classed as a sensual gothic romance, but it’s pretty darned close to a thriller. Claire Cook, author of the Must Love Dogs series as well as another inspirational non-fiction called Never Too Late: Your Roadmap to Reinvention (without getting lost along the way) is an entertaining writer who has a wonderful attitude and sense of humor. She strives to pass it on to her readers through both fiction and nonfiction. 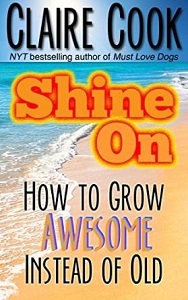 I’ve read both of the nonfiction motivational books and highly recommend them. They work just fine when read in conjunction with The Artist’s Way and with Elizabeth Gilbert’s Big Magic. This is an excellent debut novel and the first in a mystery series featuring Deputy Mattie Lu Cobb and her K-9 partner Robo. 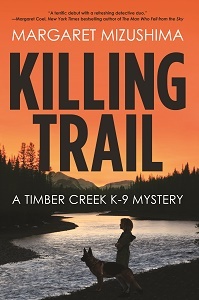 Set in the fictitious Colorado town of Timber Creek, Colorado, Mattie and her dog must solve the murder of a young girl found in the mountains before anyone else becomes a victim. A local veterinarian and single father, worried about his own daughters, is eager to assist Mattie…and will probably be a regular character in this series (at least I hope so). I was very happy to see the second book in the series, Stalking Ground, will be released in September. 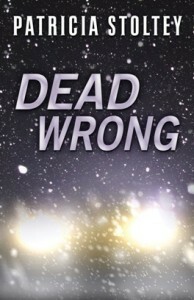 Seewald writes in multiple genres and does all of them well. This novel is a Western thriller, published by Five Star/Cengage in its Frontier Fiction line. Set in the Arizona Territory in the early 1880s, the novel features an Eastern girl, Mary MacGreggor, who travels West with her uncle and his family to homestead and hopefully establish themselves as farmers. Up against a rough crowd of cattlemen and sheep ranchers, and faced with unexpected violence, the family barely survives. Mary doesn’t know who to trust, but one cattle rancher seems to be working awfully hard to win trust…or is he? This novel is exciting and romantic, the pacing is excellent, the characters interesting. 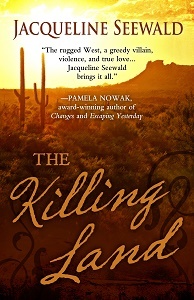 If you like a good Western, you’ll enjoy The Killing Land.